1.Easy replacement with less down time. 2.One set include 2 carpentry woodwork hand planer blades. 3.It is durable which is made of high-carbon steel material. 4.Suitable for many kinds of personal woodwork planer DIY crafts. Each item with a unique Manufacturing Part Number label on the inner package to confirm it is the qualify checked and genuine item sold from our store.If you have any questions,please provide us the MPN label first. 2. The bladed product should be used for people over 18 years. 3. 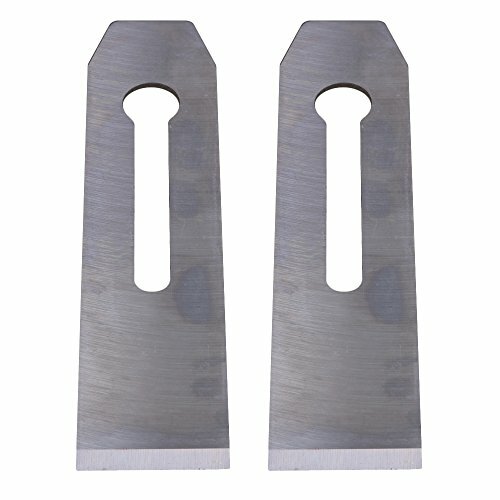 The item is only can be use for industrial cutting/engraving. Suitable for many kinds of personal woodwork planer DIY crafts. If you have any questions about this product by RDEXP, contact us by completing and submitting the form below. If you are looking for a specif part number, please include it with your message.